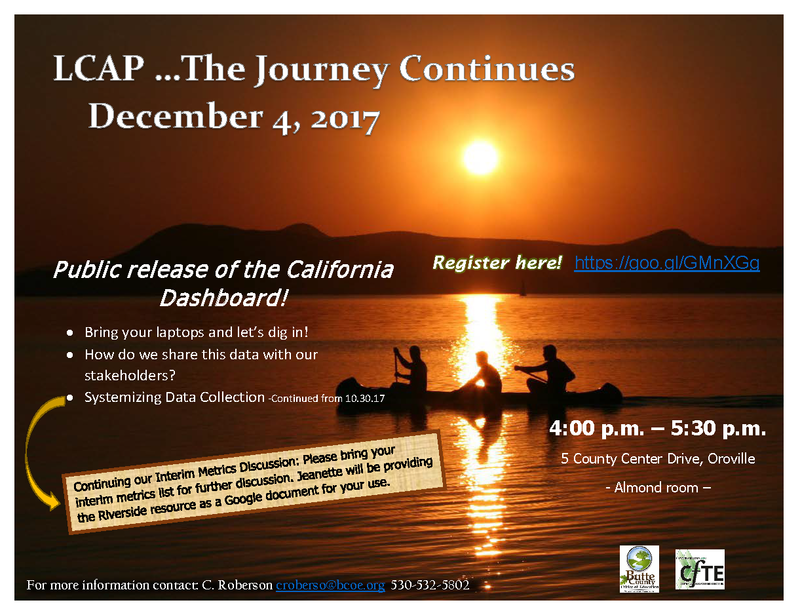 Public release of the California Dashboard! Bring your laptops and let’s dig in! How do we share this data with our stakeholders? Systemizing Data Collection -Continued from 10.30.17 Continuing our Interim Metrics Discussion: Please bring your interim metrics list for further discussion. Jeanette will be providing the Riverside resource as a Google document for your use. December 4, 2017 from 4:00 p.m. – 5:30 p.m.